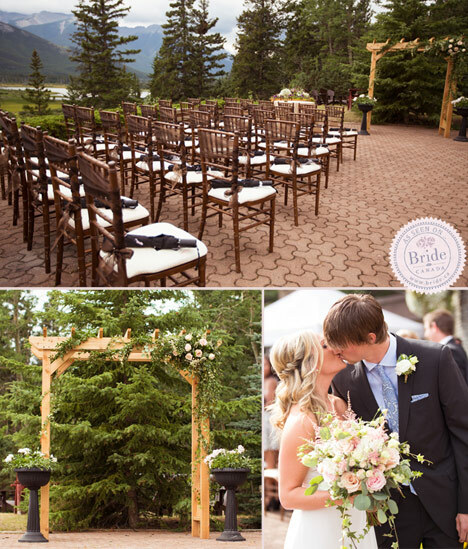 The floral garland accented the wood pergola beautifully. 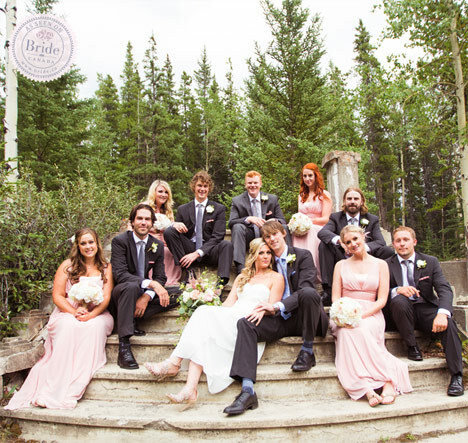 The stone steps above offered a unique location to capture the bridal party formals. The steps were the last remaining piece of an old church that once stood in the location. 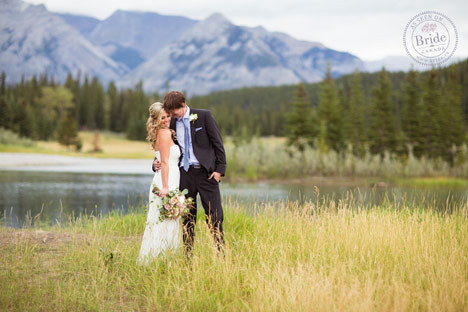 We aren't sure which is more beautiful, this so-in-love couple or the amazing view! 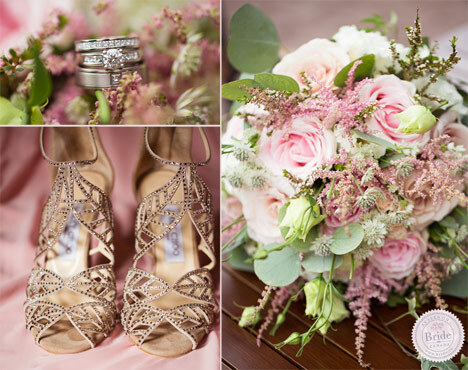 Photography by Nicole Modde of NC Photography. 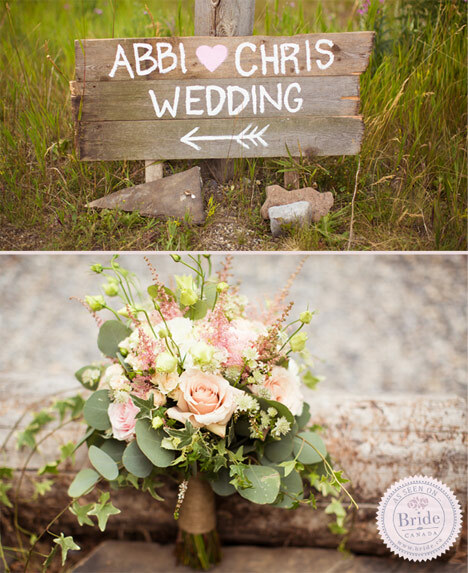 The rustic wedding theme was the perfect choice for Chris & Abbi's reception, which was also held at the Juniper Hotel & Bistro. 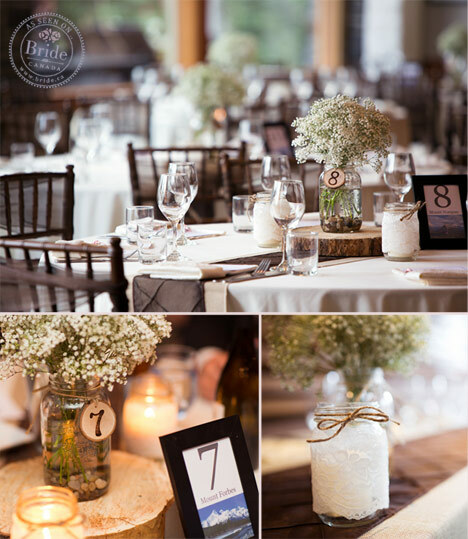 The baby's breath centrepieces and mason jars wrapped in lace were thoughtfully arranged by Janelle of Special Event Rentals. Could the cake topper possibly be any cuter?! 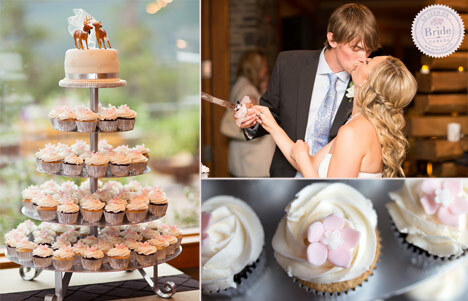 The cupcakes and small cutting cake, created by Cake Rhapsody in Canmore, added to the light-hearted atmosphere of the day. From the look of these two lovebirds as they cut the cake, Abbi & Chris' wedding day was clearly everything they could have hoped for!